Restorative denstiry is that branch of dentistry that deals with rehabilitation of teeth and their supporting structure. Therapies usually involve restoration of affected or missing tooth structure with biocompatible esthetic materials. Nowadays, there is a wide range of esthetically acceptable materials with better mechanical properaties that have replaced the older amalgam (silver) restorations. What are dental caries (decay)? Dental caries are the result of necrotic tooth structures caused by bacteria that have attached themselves onto teeth. The bacteria process sugars in the oral cavity into acids leading to cavity formations. Factors that can contribute to this destructive process: frequent sugar intake and/or lack of oral hygiene. 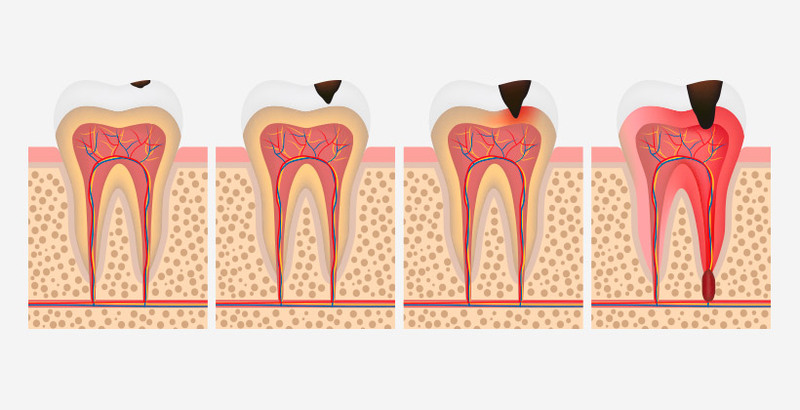 How can I avoid caries formation? Let us help you prevent caries! Continued compliance with scheduled maintenance visit.